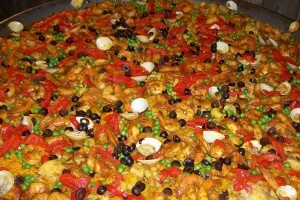 Traditional Spanish seafood Paella, includes premium rice, shrimp, fish, calamari, clams, scallops, chicken, bacon, sausage, and seasoned with savory spices, olives, roasted red peppers, green peas and Saffron. *Paella dish includes mixed green salad adorned with mandarin segments, feta cheese and salad dressing plus fried green Tostones or ripe plantains. 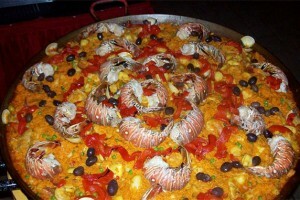 Our signature, ultimate in flavor Paella, includes premium rice, 1/2 lobster tail per person, shrimp, fish, calamari, clams, scallops, mussels, olives, roasted red peppers, green peas and seasoned with savory spices. 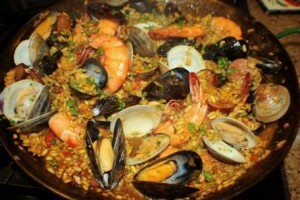 A delicious seafood Paella includes premium rice, Lobster chunks, shrimp, fish, calamari, clams, mussels, green peas and seasoned with savory spices. 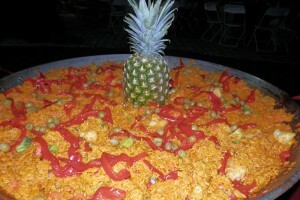 An authentic Cuban Paella dish that includes premium rice, chicken, pork, bacon, sausage, vegetables, red peppers, green peas, corn, smoked ham and seasoned with savory spices. 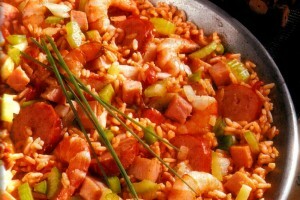 Paella includes premium rice, lots of shrimp, chicken, and Andouille sausage. Seasoned with a touch of Creole spice, lifting the spirits of your guests. 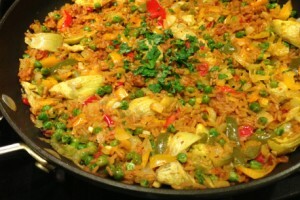 A delicious and fresh Paella that consist of only fresh vegetables and includes premium rice, fresh Zucchini, diced tomatoes, garlic, yellow and orange carrots, green beans, cauliflower, green and red bell peppers, and peas. 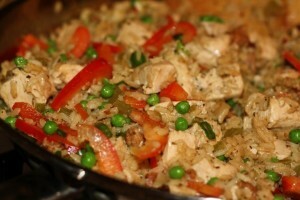 Or "Chicken with rice", a traditional Spanish dish that includes Spanish yellow rice, chicken, peas, red peppers and seasoned with savory spices. 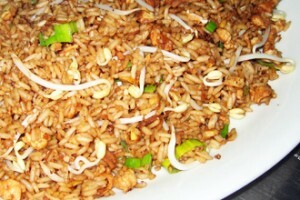 A cross culture Cuban-Chinese fried rice dish made with eggs, ham, chicken, onions, beans and scallions. Call 786-709-1770 to schedule your catering party event. 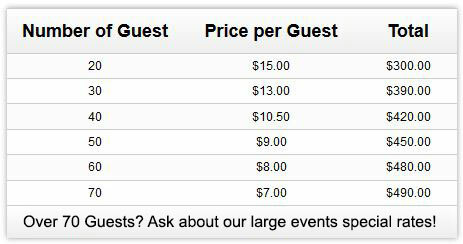 Catering services for Dade, Monroe, Broward & Palm Beach Counties.